We usually try to leave her hair mostly down for pictures (just a personal preference.) She likes to look back on her photos and remember how long (or short) her hair was at the time. Also, you could spend a lot of time making the back of her head look cute, but... the back of her head is most likely not going to show up in the photo! So, I think it makes more sense to focus on the font view. 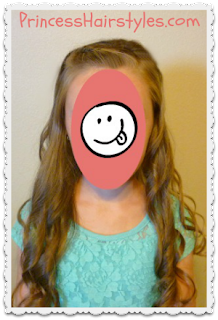 Here's the front view, and what her hair will look like in her 5th grade pics! 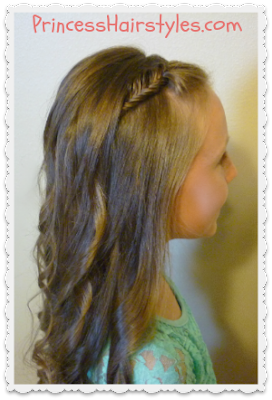 Of course, you could also do a regular French braid, Dutch braid, or French twist (instead of a French fishtail) in the bangs area for a similar look. 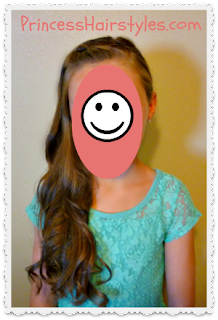 *Let us know in the comments how you plan to wear your hair for school pictures this year! Same! 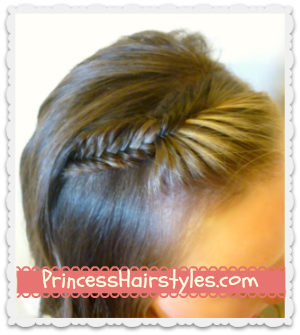 Only with a dutch braid! That is so cute i want to try that but with no curls. I did that with a dutch braid also! totaly doing this on my pic day!